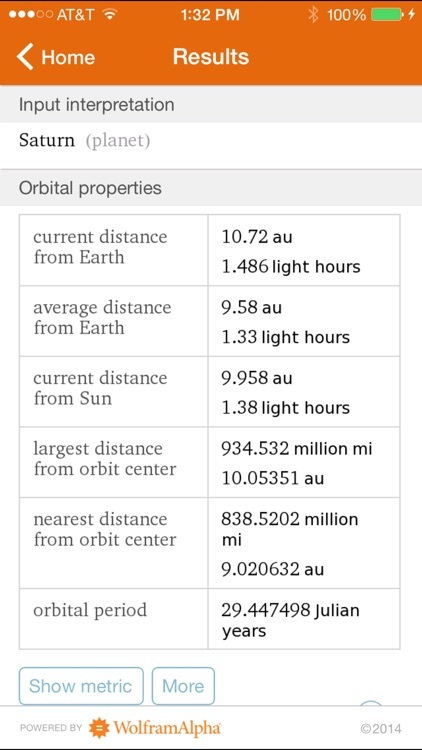 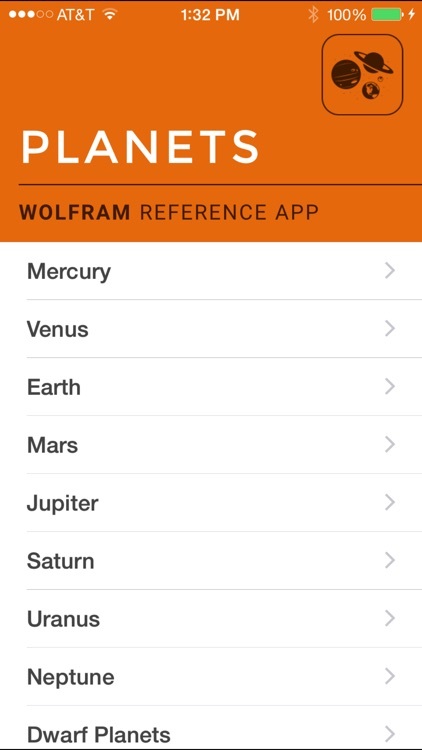 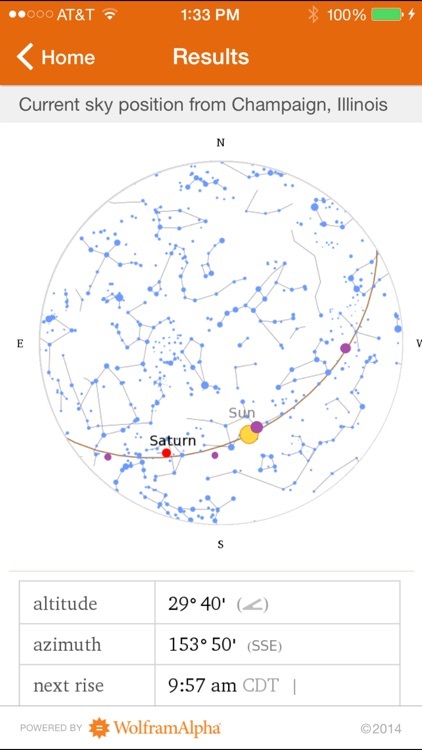 With the Wolfram Planets Reference App, you'll have access to real-time data on the eight major planets in the solar system, as well as dwarf planets and minor planets. 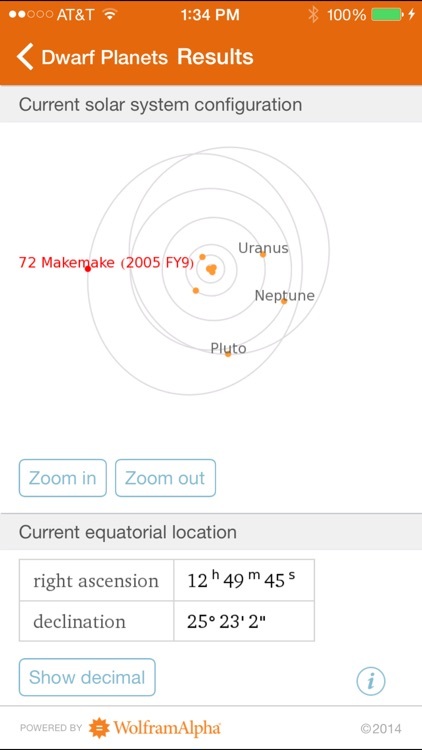 Compute each planet's sky position, find out when it will rise next, and perform advanced calculations. 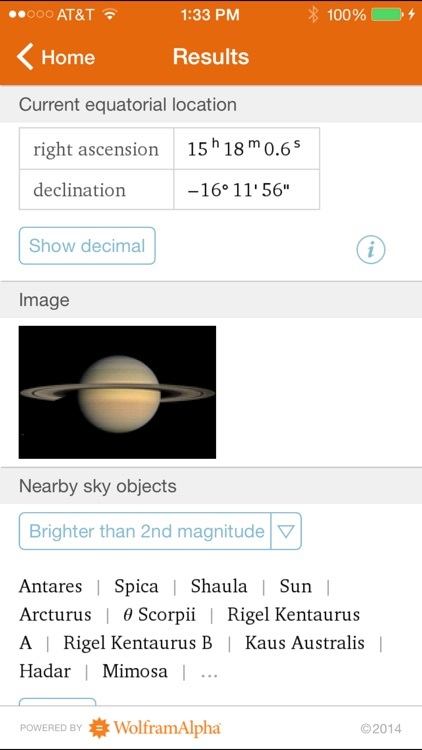 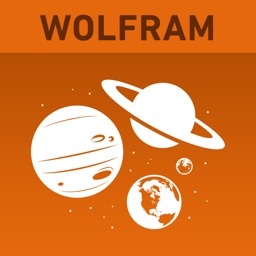 The Wolfram Planets Reference App is powered by the Wolfram|Alpha computational knowledge engine and is created by Wolfram Research, makers of Mathematica—the world's leading software system for mathematical research and education. 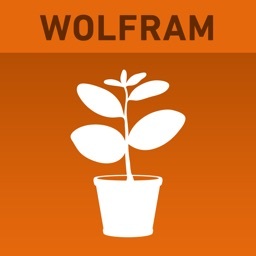 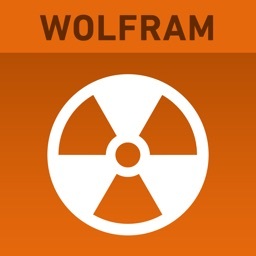 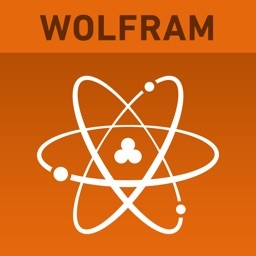 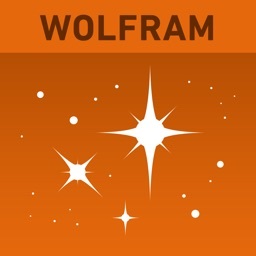 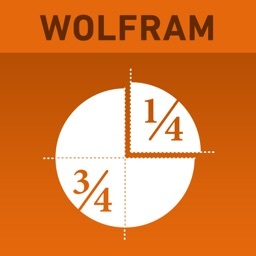 The Wolfram Planets Reference App draws on the computational power of Wolfram|Alpha's supercomputers over a 3G, 4G, or Wi-Fi connection.